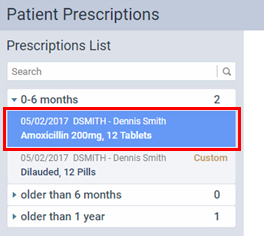 You can refill a patient's prescription as needed. Click (or tap) Create Refill. 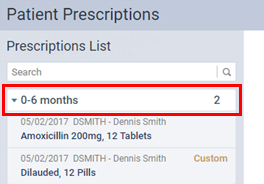 The options to edit the prescription become available. 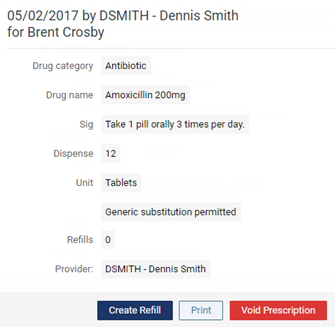 Customize the prescription details, such as the dosing instructions, amount to dispense, number of refills, and provider, as needed. 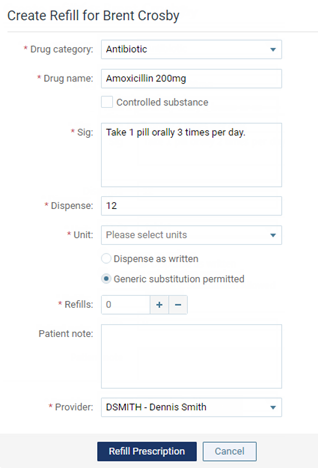 Click (or tap) Refill Prescription.